Every now and then we buy a few items from other companies to sell in our shop, stuff we like but is nothing to do with us. GoodBOOKs are such an item. We bought some in 2013 and they sold well. One of the buyers upgraded his phone and asked for a new one, so we ordered some more. 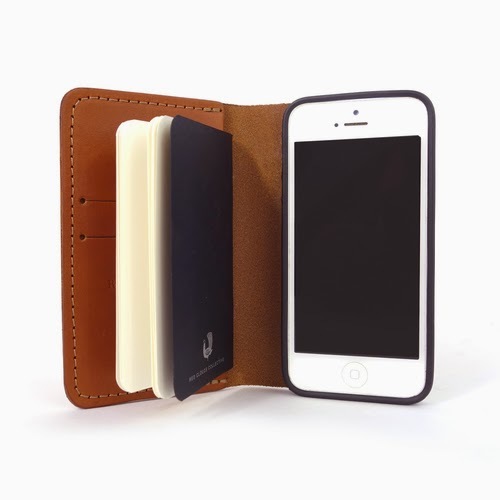 It's a tan leather wallet, iPhone case and paper notebook holder in one. They are made by hand by Red Clouds Collective in Portland, Oregon. 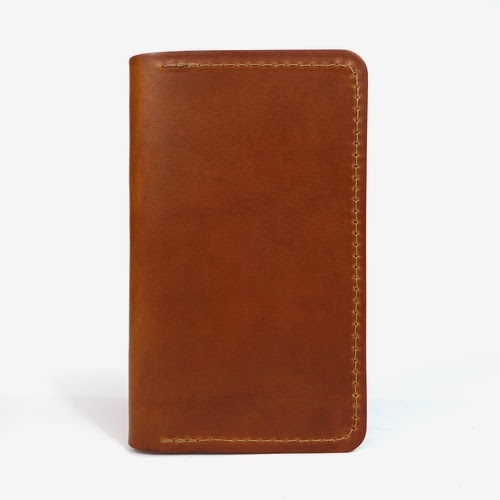 We think we're the only stockist in Europe. We send all over the world. Plus post. Phone not included. Get yours at Sideburn webshop. Hi Gary - a friend of mine, Mick Kelleher, suggested I take a look at this and get in touch. My Granddad, Eric MALE was part of Wolverhampton Motor Club with Tommy DEADMAN. They played motorcycle football and motorcycle polo - I have a few pictures - one of the whole team and another in their 'Wolves' tops... would be happy to send you some/ get them on here. Also, Tommy DEADMAN's widow is still alive c100 in a care home in Penn, Wolverhampton! His daughter, June I think it was, has since died I believe since contributing to the Wolverhampton History website. Best wishes, Louise - in awe of my legend of a Granddad!